What’s this? 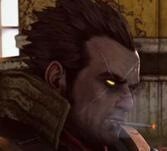 Another third-person shooter featuring a gravelly voiced protagonist blasting away at hordes of evil creatures while fighting his way to the big bad boss at the top? Sure, NeverDead looks like another run of the mill action game with overused gaming clichÃ©s, until the main character decides to rip his head off and throw into a crowd of enemies that is. Confused? Don’t be. 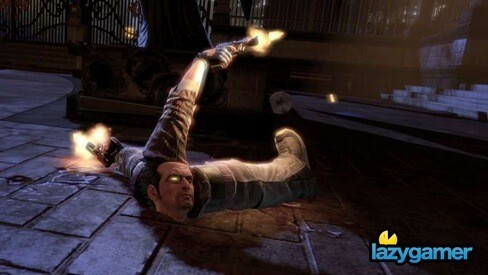 That’s not a painful attempt at suicide you’re performing, its just a standard attack in the world of NeverDead. Playing as Bryce, a 500 year old immortal with incredible regenerative powers, its up to gamers to once again save the world from the Demon King, the very being responsible for cursing Bryce with immortality. As a member of the National Anti-Demon Agency, Bryce is teamed up with the far lovelier Arcadia, his partner during battles who isn’t nearly as durable as he is, but at least she’s got some skill in the demon slaying department. Still ,if she dies, its game over, so players will have to keep a close eye on her. At first glance, you’d be forgiven for thinking that despite the interesting limb-severing mechanics, NeverDead is just another Devil May Cry clone. Swords and guns do feature here,but there are some interesting strategies available for players when making use of Bryce’s more unique dismemberment abilities. Imagine ripping your arm while its blind-firing a pistol and chucking it into a group of enemies to distract them, or using your decapitated head as a melee weapon. The stages also feature destructible elements, so in the long run, it might be better to just bring a demon infested building crashing down on top of you, because at least you’ll survive it. 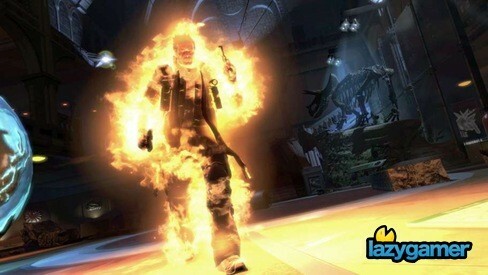 Hell, why not set yourself on fire so that you can lay out some melee attacks with a flame-damage bonus? Even when you’ve run out of limbs, you can still roll around the battlefield as a head, picking up fresh body parts until you resemble some horrific patchwork creature. 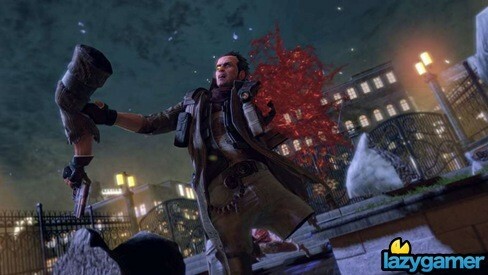 A variety of guns are also available, each with their own special ammunition, along with a two-handed sword that can be equipped for some crowd-clearing combos. NeverDead releases later this year. Barf bags sold separately.